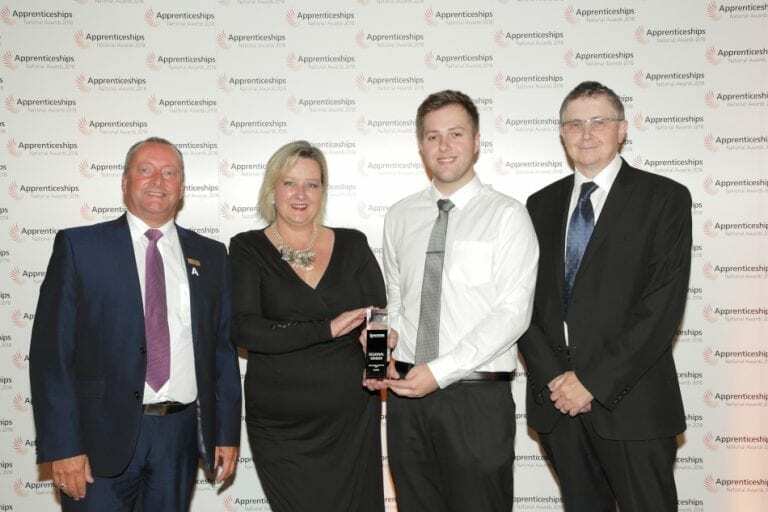 Mercedes Benz World hosted the South East ceremony of the National Apprenticeship Awards on Tuesday 11 September with 18 winners and highly commended employers and apprentices representing industries including digital, biopharmaceuticals, telecommunications and health. The BAE Systems Award for SME Employer of the Year was won by Woking-based, Invotra. Alison Galvin, HR director at Invotra said: “For Invotra, an intranet software company based outside of London, it’s essential we attract and nurture our own talent – one third of our employees are apprentices. Apprenticeships play a fundamental role in the success of our business – they are highly skilled, committed, enthusiastic and bright. Now in their fifteenth year, the National Apprenticeship Awards showcase the diverse and growing range of sectors engaged with apprenticeships, whilst celebrating outstanding apprentices, employers and individuals who go above and beyond to champion apprenticeships across England. The awards are open to apprentices, individuals who promote apprenticeships and employers of all sizes from all sectors. “I am delighted to see so many regional winners being recognised and representing such a wide variety of sectors and industries. We know apprenticeships enable businesses to grow their own talent, and also allow individuals to start or progress their careers. The talent presented by winners and highly commended finalists really does showcase the impact of apprenticeships on individuals and employers alike. Regional winners in the National Apprenticeship Awards 2018 are being announced at nine regional ceremonies taking place over the next three weeks. As a regional winner, Invotra is now entered in to the National Apprenticeship Awards; the ceremony takes place on the 28th November 2018 in London.